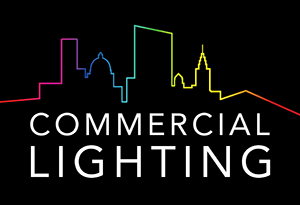 We at Commercial Lighting are incredibly proud of the work we’ve done in the lighting industry over the past 25 years. To mark that journey, we thought what better way to celebrate than compiling an album featuring some of our best-loved and most significant lighting projects between 1991 and today. If you would like a copy, just get in touch with our Sales team and we’d be happy to post one to you, free of charge. Because of the nature of the industry, our involvement in projects is often complex and multifaceted, and much happens below the radar. Working indirectly through contractors and third parties often makes it hard to be credited for schemes we are most proud of. This book goes a little way to bring recognition to our work in projects in which we played a crucial role, some of which our readers may be surprised to discover! Choosing just 25 projects from the wealth of wonderful and unique schemes over the years was a real challenge. After a tough selection process, the compilation you’ll find in this book demonstrates the variety of significant projects we’ve undertaken, as well as marking some important moments in the history of lighting technology. We’d like to send our warmest gratitude to all those long-term partners and lighting designers we have collaborated with over the years, many of whom can be found the following pages. And of course our deepest and most heartfelt thanks to all our staff, past and present, who have made Commercial Lighting what it is today.